In this episode, a familiar subject appeared during the conversation. One of my favorite to speak about with business owners, mindset and blind spots. When you listen to Todd's story he learned the way most business owners do , by failing, learning and growing. What makes the mindset such a tough and burdensome thing to a business owner. First, most business owners have a strong ego and a strong will. That's where they got the drive to start a business to begin with. Secondly, they tend to want to be the one who knows it all. You can hear Todd exclaim that in his story. Hey, if we are honest, we have all been there at one time or another. Third, and the part of Todd's story that will resonate with you, is we don't have someone showing us our blind spots. So how do we allow our mindset to change and how do we discover our blind spots? Listen to what Todd said he did. That is the way to solve these issues. Albeit, you will always need to work on them. 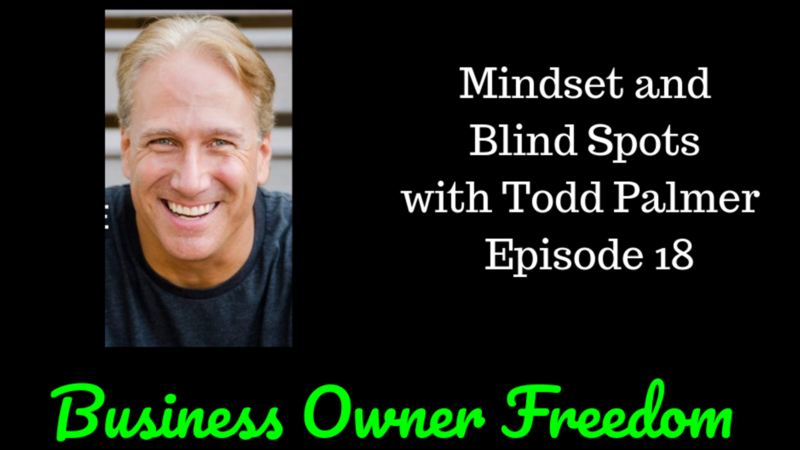 Todd found mentors, he searched for the truth in what his blind spots were and he chose to allow his mind to change. It's funny how we are our own worst enemies when it comes to the mind. Yes, we do have to allow our minds to be changed. Many times that itself, the allowing, is the hardest part. It cuts to our ego, our pride and requires us to be humble. In Todd's case, had he not gone through the metamorphosis that he did, his business would not have exploded and we wouldn't have heard his wisdom on this podcast. Listen to the episode and be thankful for guys like Todd Palmer, who share their story willingly so we can learn. If you like the podcast, please give us a five star rating and subscribe so you can hear future episodes that just may impact your walk as a business owner. Enjoy the Journey!